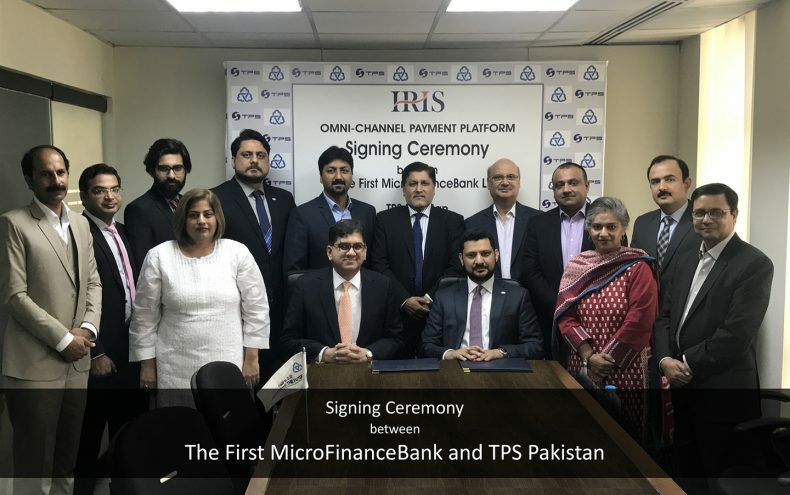 The First MicroFinanceBank Ltd. signed an agreement with TPS, a leading payment solutions company, to upgrade its ATM middleware and CMS technology. The signing ceremony was held in the presence of Mr. Amir Masood Khan, CEO and President, The First MicroFinanceBank and Mr. Shahzad Shahid, CEO, TPS. The agreement is in line with the bank’s goal to transform its digital payments infrastructure. The new agreement will see The First MicroFinanceBank issue and acquire EMV Compliant Debit Cards, meeting both the changing regulatory requirements and evolving business needs. More than half the population in Pakistan has no access to formal financial services. With its commitment to support the National Financial Inclusion Strategy, The First MicroFinanceBank Ltd intends to introduce targeted digital financial services, which will support its long-term vision of improving financial inclusion in Pakistan.